Landscaping activities have progressed up to 95%. Planting for Date Palm Trees have been completed. 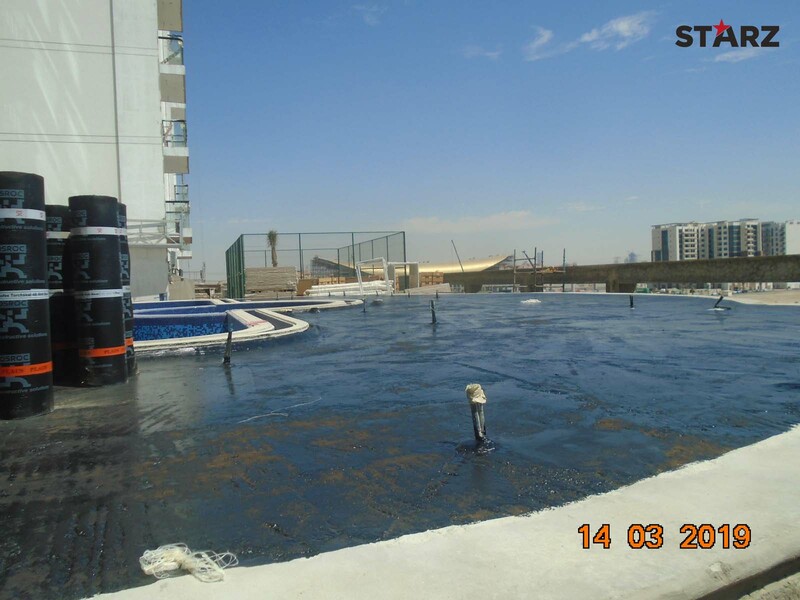 Swimming pool’s finishing works have progressed up to 95%. 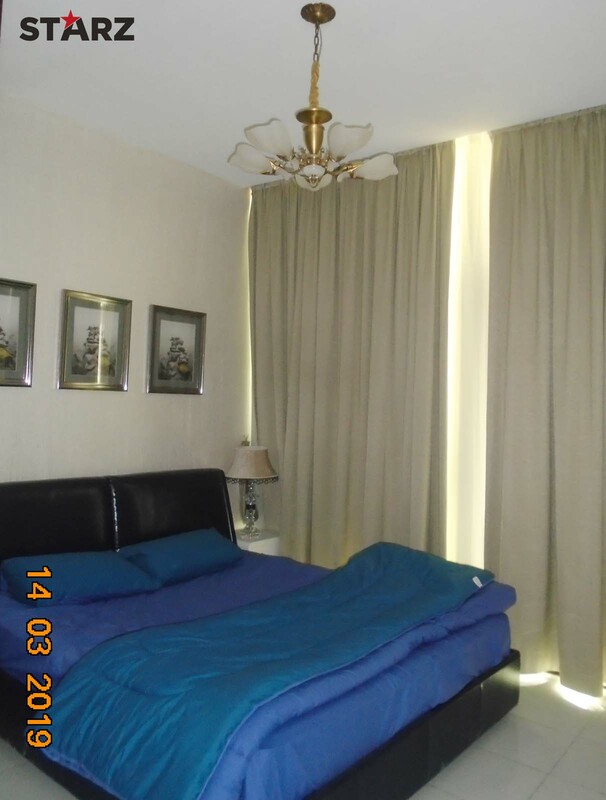 DCD inspection has already applied waiting for authority inspection. Superstructure work has been executed for both Towers. Tower-1: Water proofing in Roof Floor is completed. 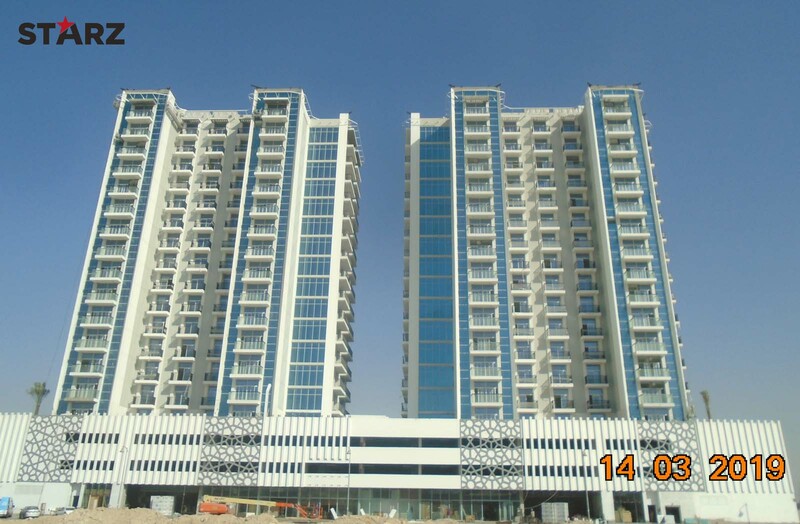 Tower-1: Block work installation has been completed in all floors. 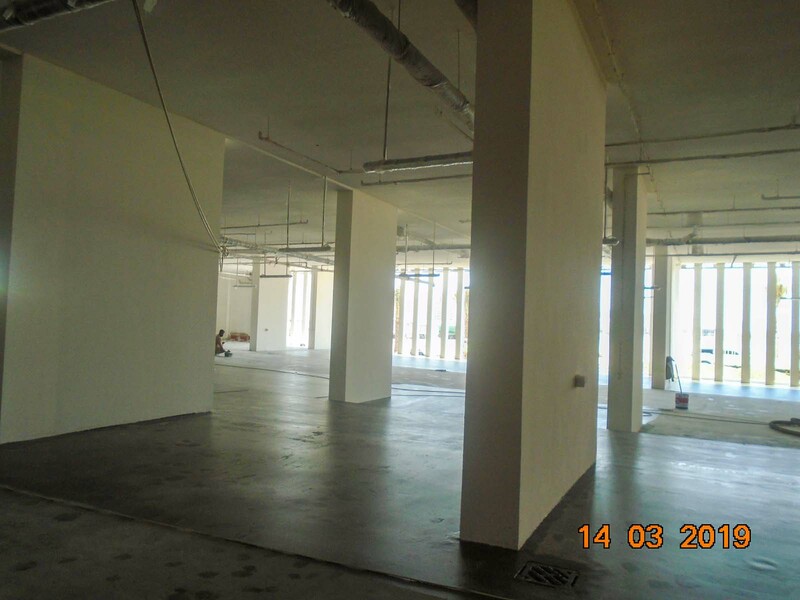 Tower-1: Internal Plastering work has been completed in all floors. Tower-1: Wall Tile work has been completed in all floors. Tower-1: Grid-work and Suspension for False Ceiling has been executed from floors 1st to 15th. Tower-1: Floor tiling works for wet areas in all floors have been completed. Tower-1: Tile installation for Dry areas have been completed in all floors. Tower-1: Tile installation for Corridor areas have been completed in all floors. 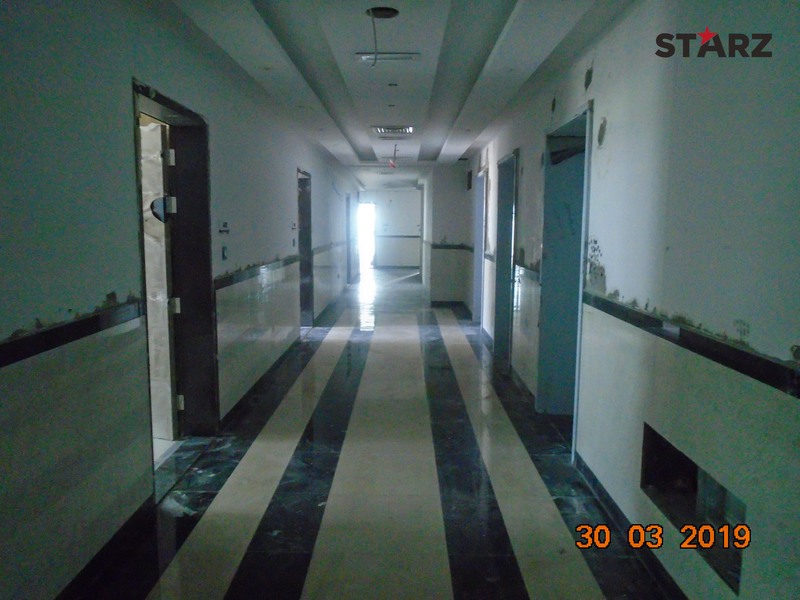 Tower-1: Corridor area false ceiling suspension has been completed for all floors. 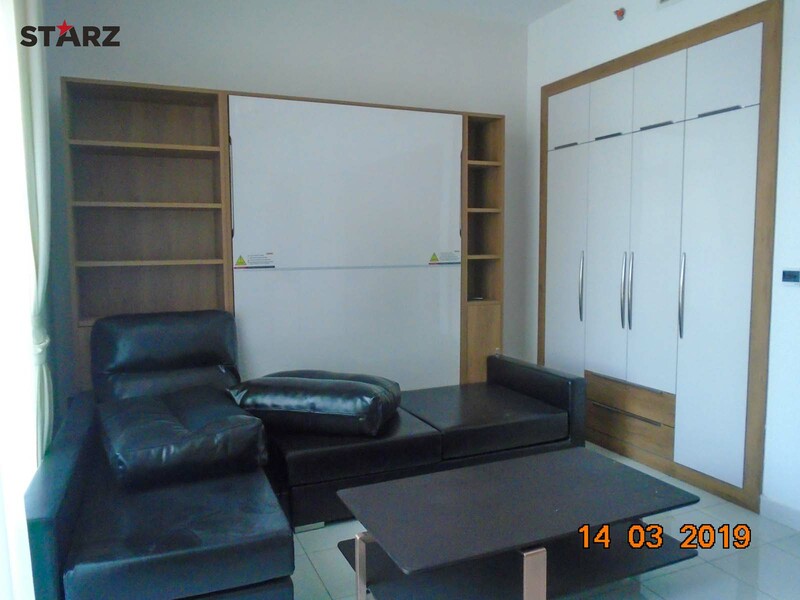 Tower-1: Closure for False Ceiling in Corridor area is completed in all typical floors. 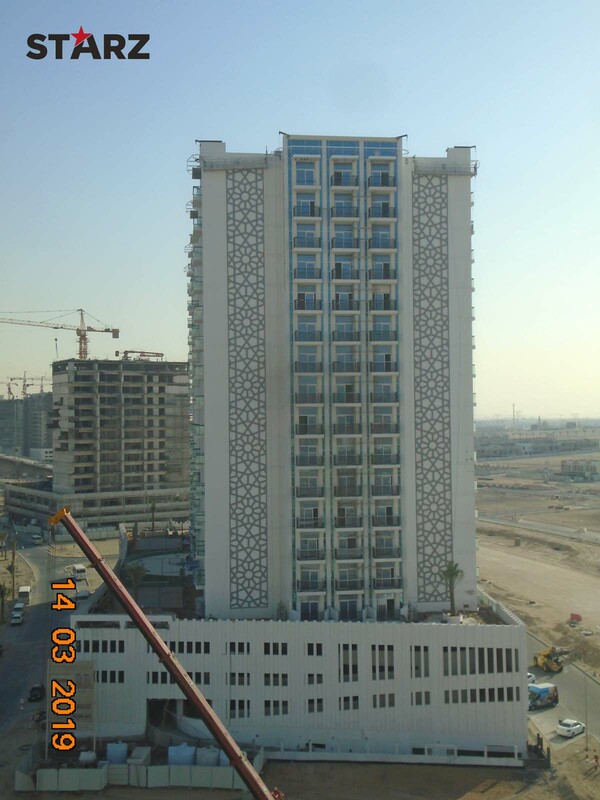 Tower-1: Sliding door installation has been completed for all floors. 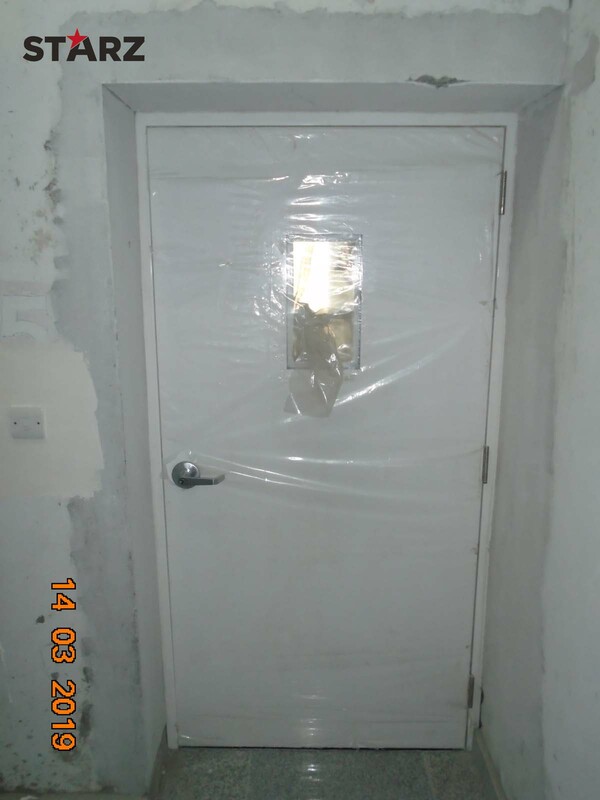 Tower-1: Folding door installation has been completed for all floors. 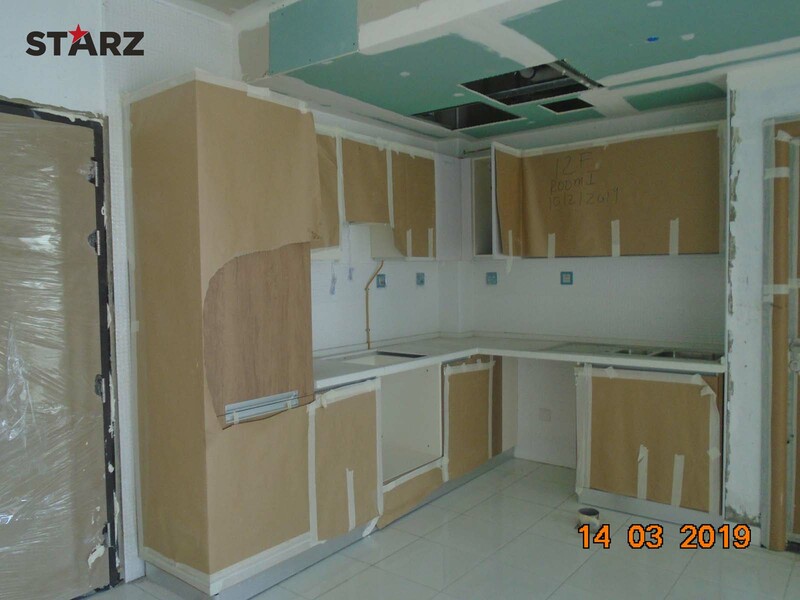 Tower-1: Kitchen cabinet installation has been completed for all floors. 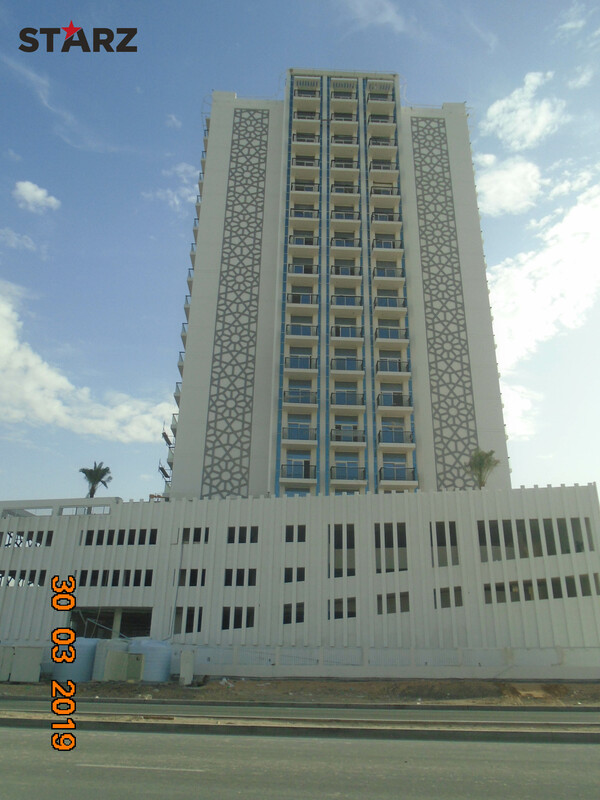 Tower-1: External plastering work has been completed. 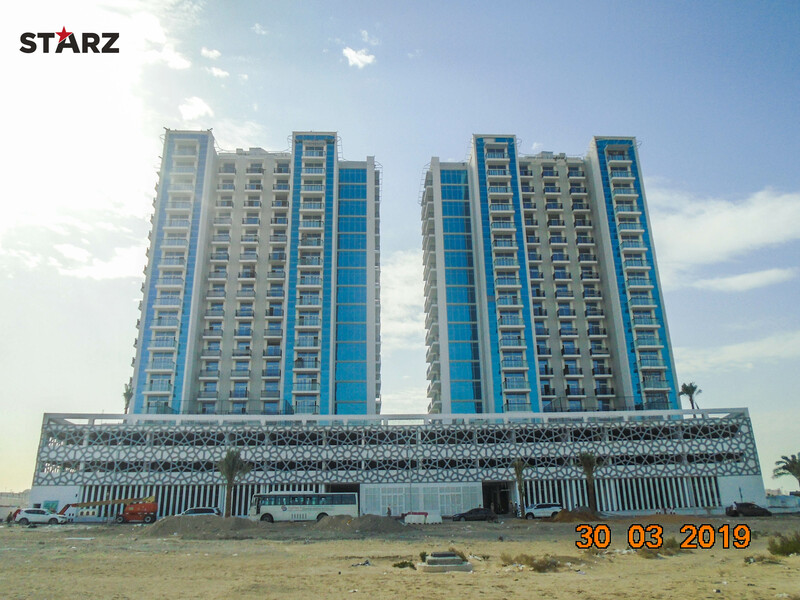 Tower-1: External painting work on 1st to 15th floor has been completed in Elevation A, B, C, D.
Tower-2: Water proofing in Roof Floor is completed. Tower-2: Block Work and plastering activities in all floors has been completed. Tower-2: Wall Tile work has been completed for all floors. 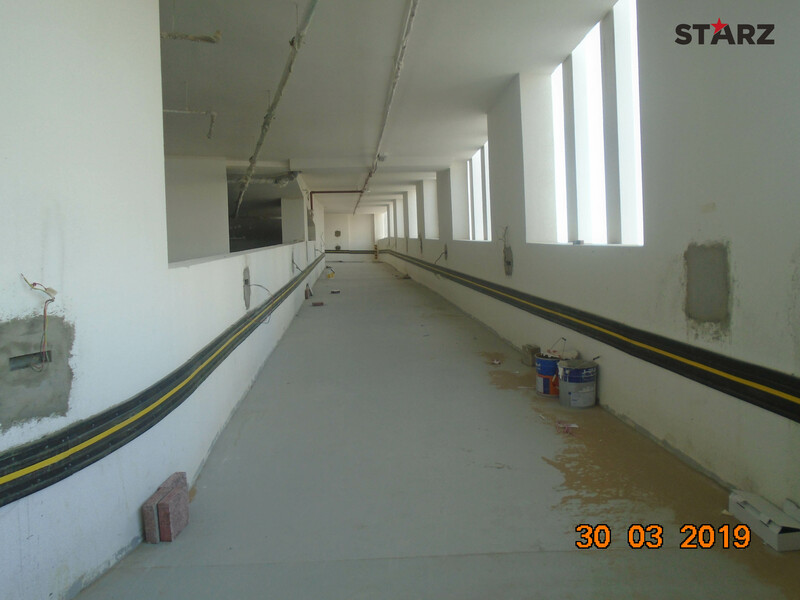 Tower-2: False ceiling suspension work from 1st to 15th floor has completed. Tower-2: wet area floor tiling work has been completed for all floors. Tower-2: Dry area Tiling work has been completed for all floors. Tower-2: Corridor area floor tiling work has been completed for all floors. Tower-2: Wall painting from 1st to 15th floor is in progress. Tower-2: Staircase flooring has been completed for all floors. 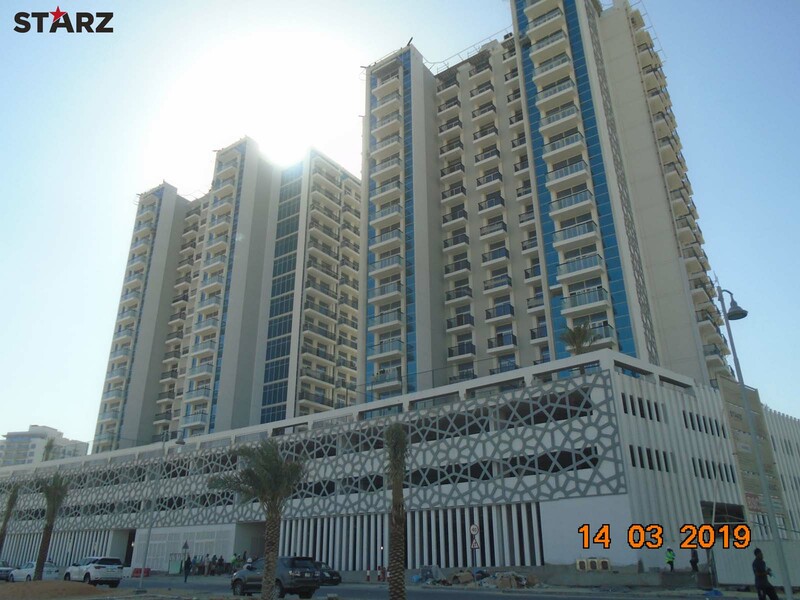 Tower-2: Ceiling plaster for dry areas from 10th to 15th floor is completed. Tower-2: Ceiling plaster for balcony from 1st to 15th floor is in progress. 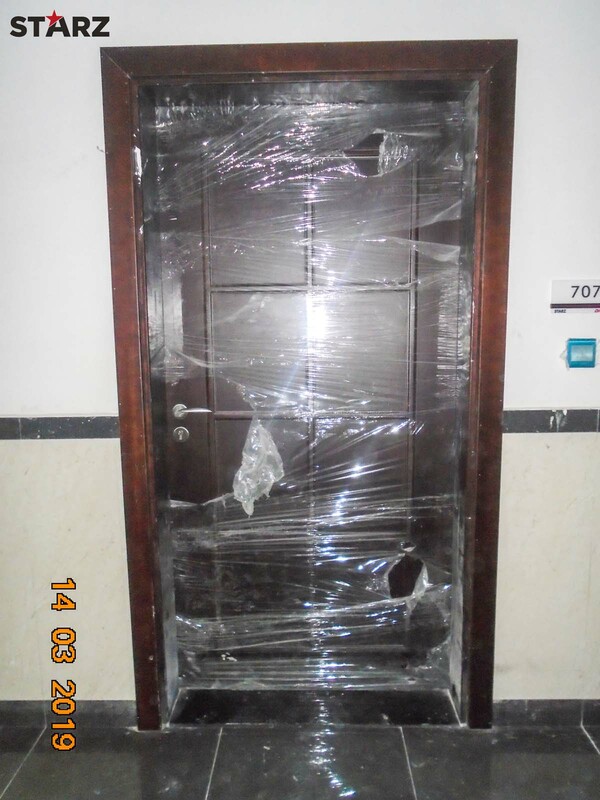 Tower-2: Folding door installation is completed on all typical floors. 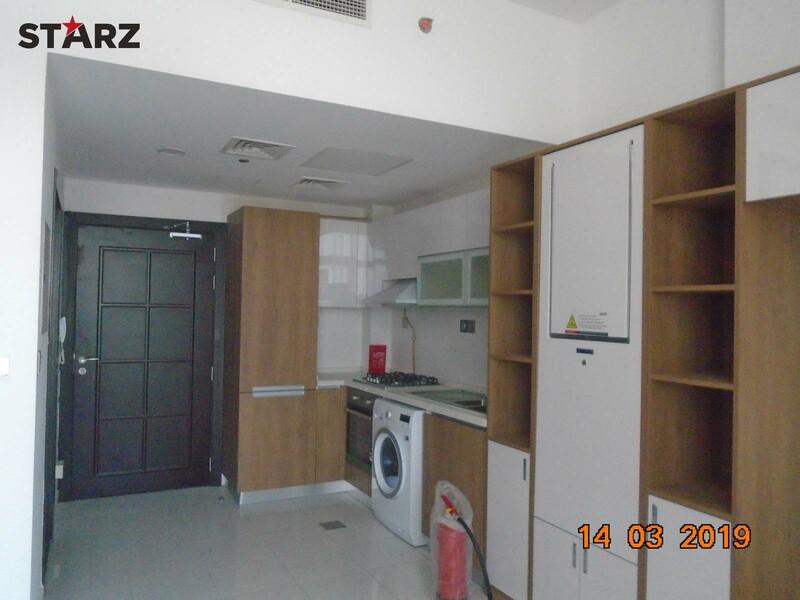 Tower-2: Wooden door installation has been completed for all floors. Tower-2: Balcony handrail installation is completed for all floors. Tower-2: Sliding door installation is completed for all floors. 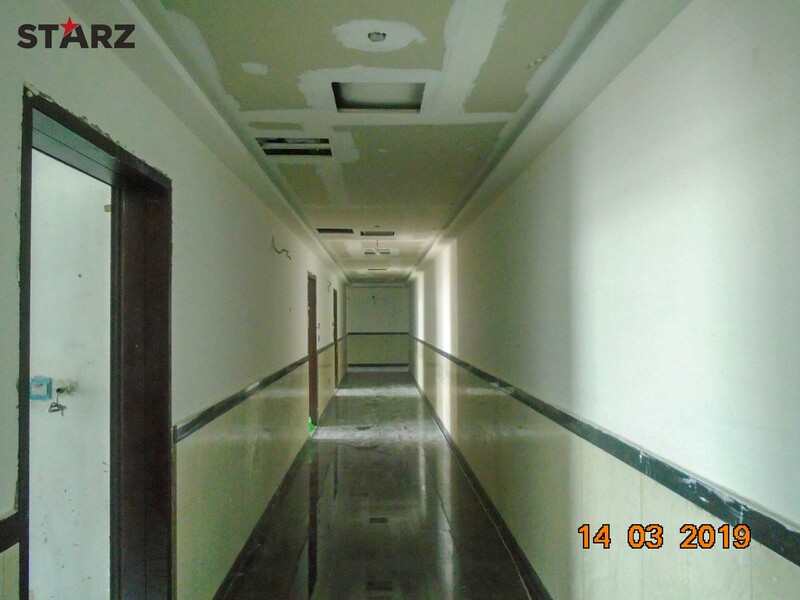 Tower-2: Corridor area false ceiling closing work is completed for all floors. Tower-2: Wardrobe installation has been completed on all floors. 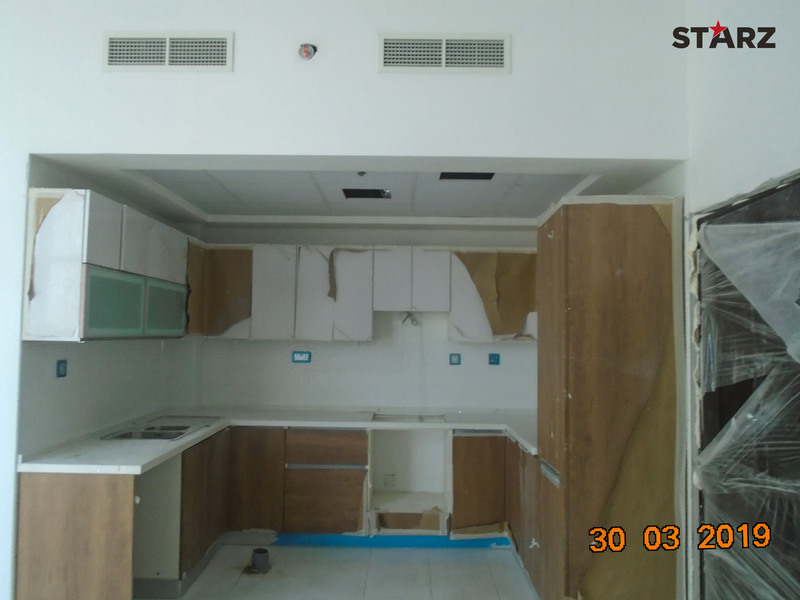 Tower-2: Kitchen cabinet installation has been completed on all floors. Tower-2: Internal painting work in progress from 1st 6th Floors. 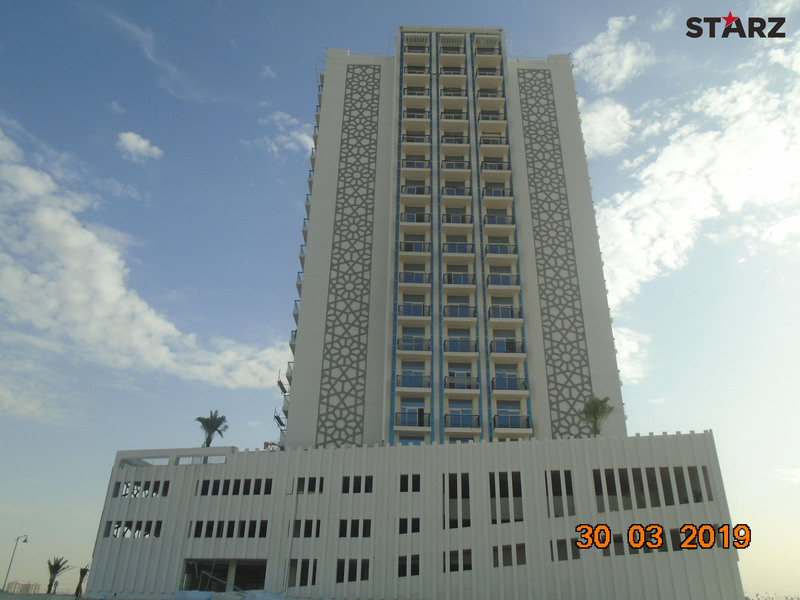 Tower-2: External plastering work has been completed. Tower-2: Curtain wall installation work is completed for all floors. 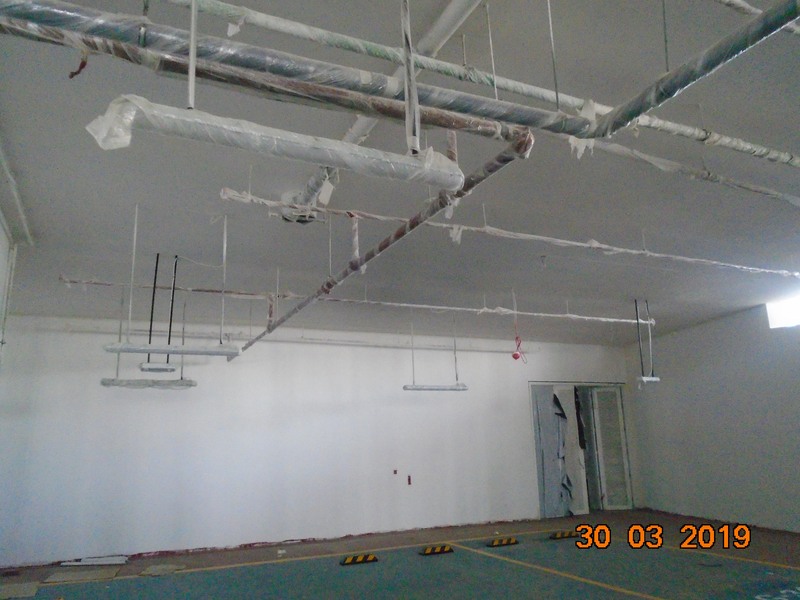 Tower-1: 1st fix wall conduits & plumbing PEX Pipes has been completed up to 15th floor. Tower-1: Light and power cable pulling up to roof has been completed. Tower-1: Water supply piping installation up to roof has been completed. 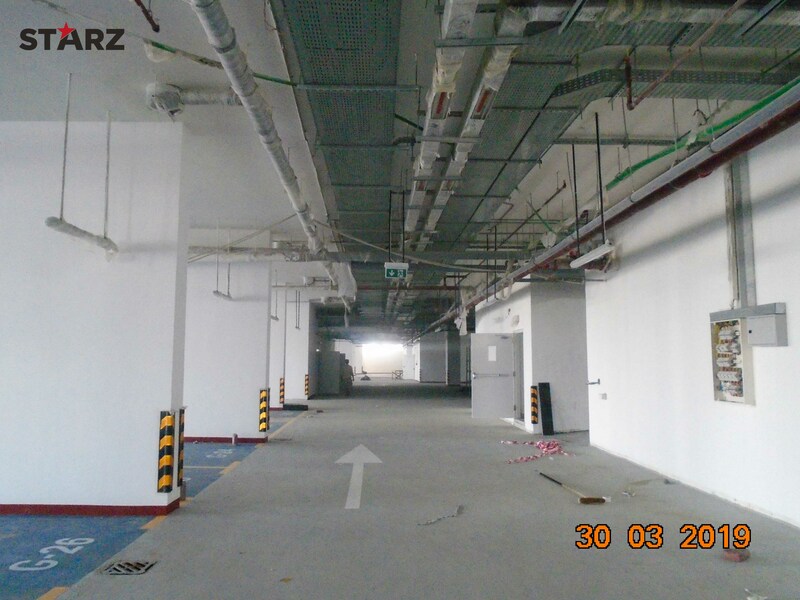 Tower-1: Network for drainage piping has been executed in all floors. 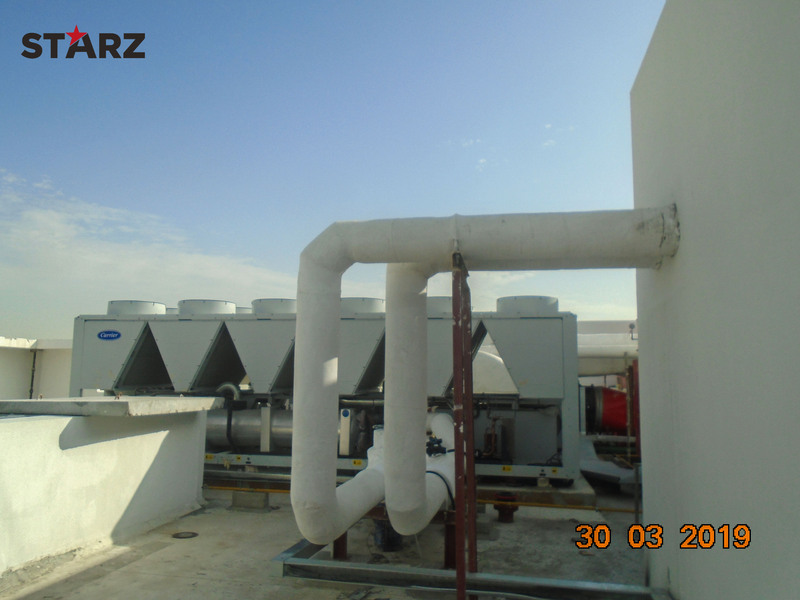 Tower-1: Installation of Fan Coil Unit has been completed in all floors. 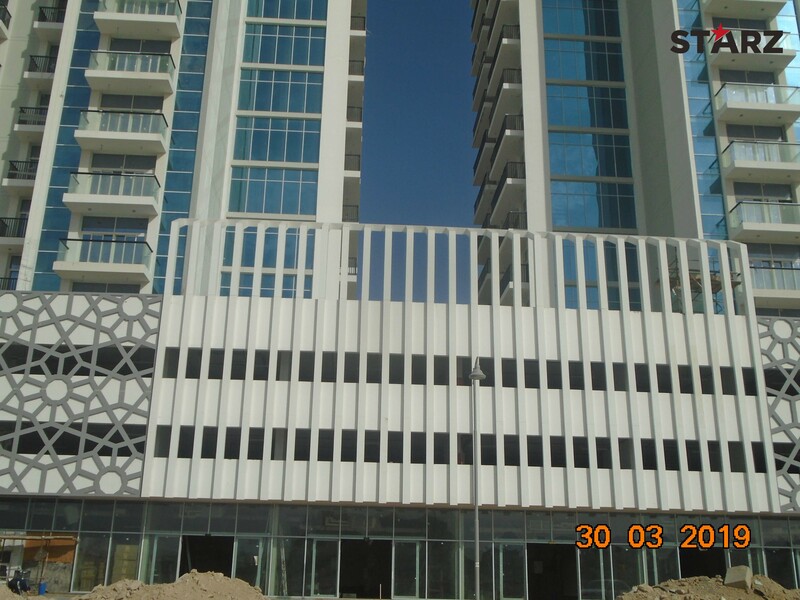 Tower-1: Installation of Ducts have been completed till the 15th floor & is under progress at 95% on Roof floor. Tower -1: Structural cabling has been completed till the 15th floor & is under progress in the Main telephone Room. 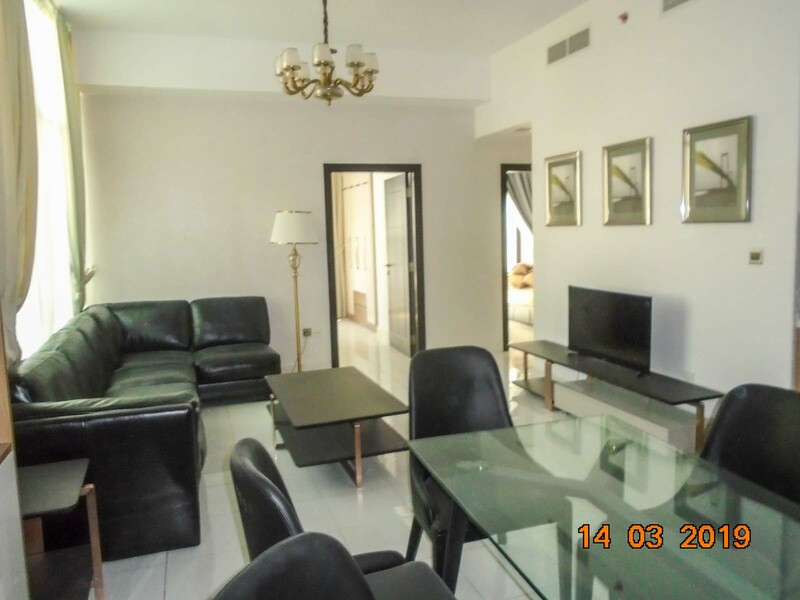 Tower-1: Fire alarm accessories has been completed in all apartments up to 15th floor. Tower 1: Installation of accessories for Fire Alarm System is under progress in all corridor areas. 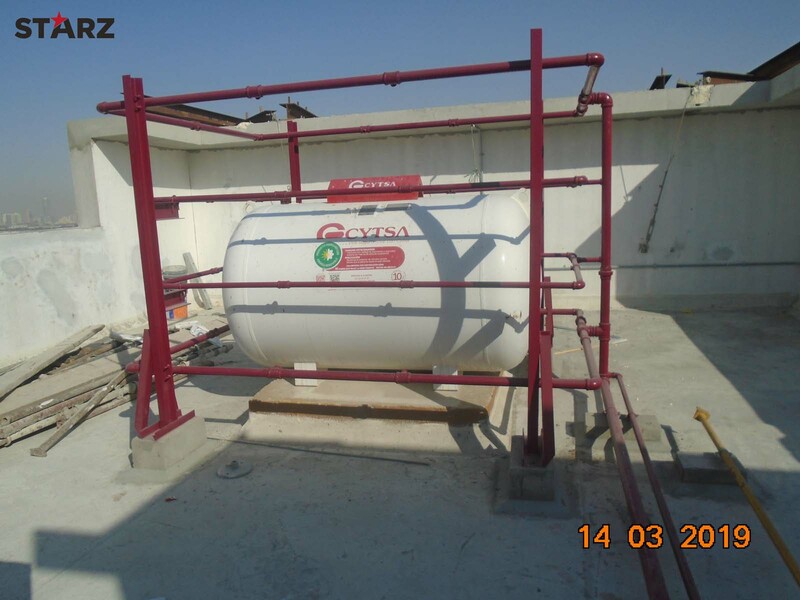 Tower-1: Piping network for LPG is completed till the 11th floor and is under progress at 75% on the Roof floor. Tower-1: Electrical Panel’s installation work in LV room has been completed. Tower-1: DB termination is completed on all floors. Tower-1: Balcony Light fitting installation is under progress in Elevation A.
Tower-1: Breeching inlet cabinet has been installed in Ground floor. Tower-1: Fire alarm Cabinet’s commissioning in Management room is under progress. Tower-2: 1st fix wall conduits & plumbing PEX Pipes have been completed up to 15th floor. Tower-2: Light and power cable pulling up to roof has been completed. 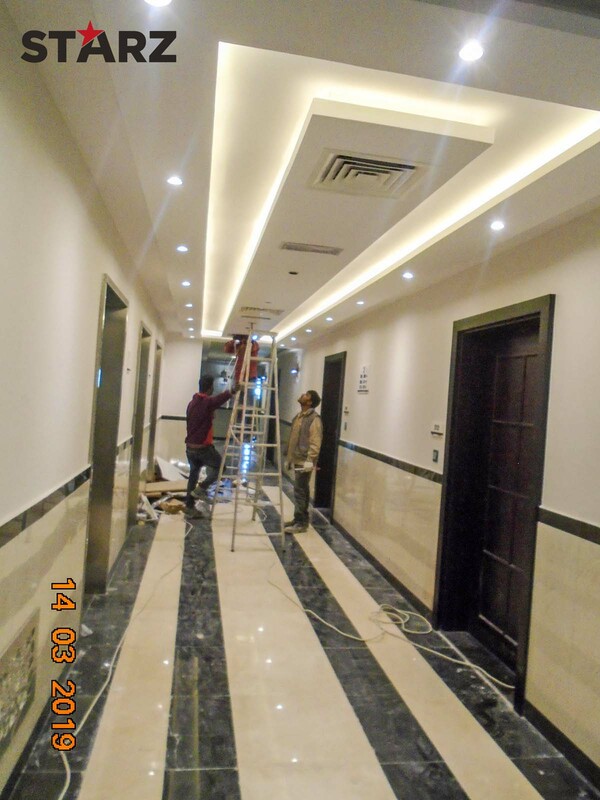 Tower-2: Light Fittings installation is completed up to 5th floor. Tower-2: Water supply piping installation up to roof has been completed. Tower-2: Network for drainage piping has been executed in all floors. 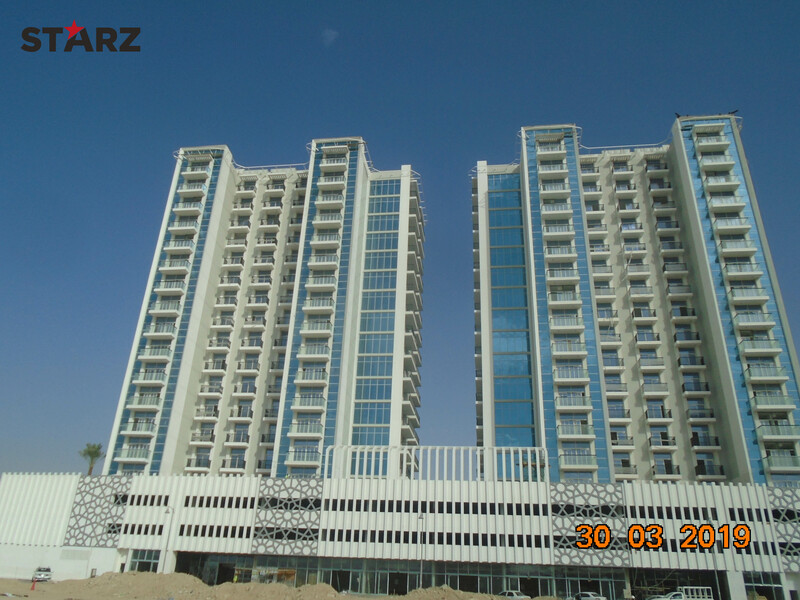 Tower-2: Installation of Fan Coil Unit has been completed in all floors. Tower-2: Installation of Ducts has been completed till the 15th floor & is under progress up to 95% in Roof floor. Tower-2: Structural cabling has been completed till the 15th floor & is under progress in the Main telephone Room. 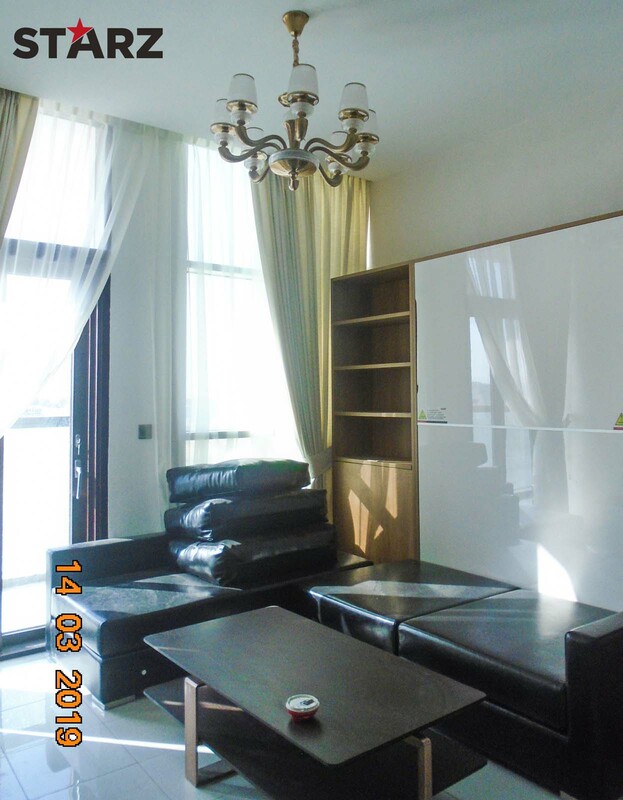 Tower-2: Fire alarm accessories has been completed in all apartments up to 15th floor. Tower-2: Installation of accessories for Fire Alarm System is under progress in all corridor areas. Tower-2: Piping network for LPG is completed till the 11th floor and is under progress at 75% on the Roof floor. Tower-2: Electrical LV room works completed. Tower-2: DB termination is completed on all floors. Tower-2: Balcony Light fitting installation is under progress in Elevation A.
Tower-2: Transformers have been delivered & LV cable termination has been completed. 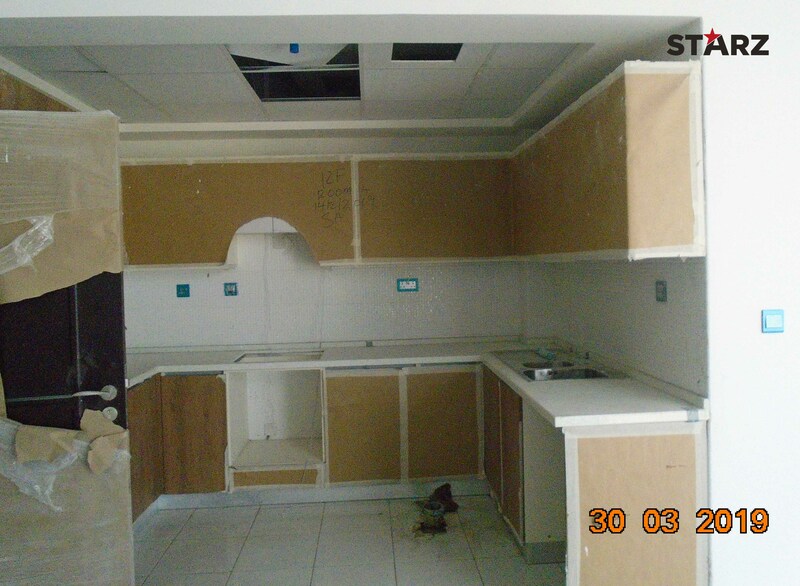 Tower-2: Breeching inlet cabinet has been installed in Ground floor. Tower-2: Fire alarm Cabinet’s commissioning in Management room is under progress. Water Supply Authority Inspection from DEWA has been approved. Breeching Inlet DCD inspection has been approved. Electricity from DEWA authority inspection is under progress. 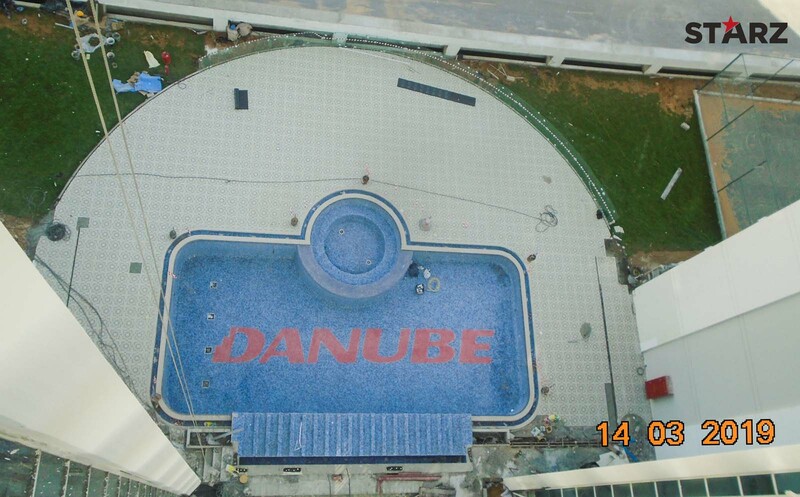 Swimming Pool’s Deck Area Tiling works are completed up to 90%. Tennis court and badminton court fencing has been completed. Gym and Multipurpose hall area finishing work is in progress. Jogging track area heel kerbs has been completed for both towers. 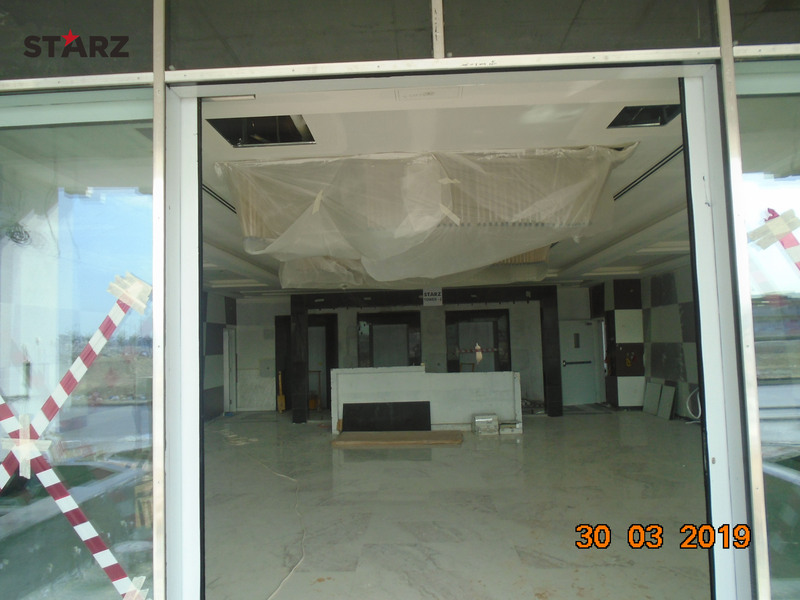 Entrance lobby finishing work is in progress up to 60%. Installation of Monorail for Window Cleaning System is under progress. Tower-1: Wardrobe installation has been completed from 1st to 15th floors. Tower-1: Curtain wall installation work is completed from 2nd to 13th floor and is in progress on the 14th and 15th floor at Elevation A, B, C, D.
Tower-2: Wooden door installation is in progress from 2nd to 14th floor. Tower-2: Balcony handrail installation is completed from 2nd to 15th floor. Tower-2: Internal painting work in progress from 2nd to 4th Floors. Tower-2: Curtain wall installation work is completed from 2nd to 13th floor and is in progress on 14th and 15th floor. Tower-1: Light Fittings installation is under progress on 1st and 2nd floors. Tower-2: Light Fittings installation is under progress on the 4th floor.